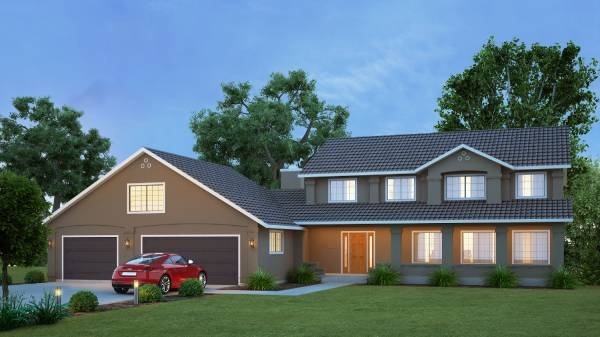 The El Dorado panelized kit home shows a southwestern influence from its covered front porch and unique exterior to the three distinct living areas inside. The foyer opens into a huge living room with access to the formal dining room. Ample counter space and a central island are just two features of the El Dorado’s kitchen, also offering access to both the dining room and a breakfast room or nook. 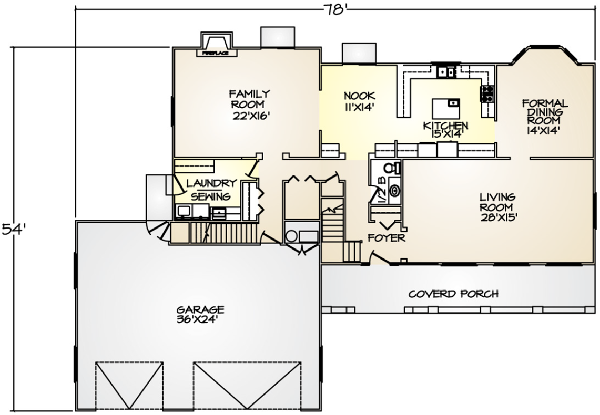 The expansive family room adjoining a storage room, half bath, and three-car garage comprises the second living area. A multi-purpose, oversized laundry and sewing room is accessible from both inside and outside the home. Just a few steps from the family room, stairs lead to the enormous bonus room above the garage, functional as a storage, game, hobby, or media room. 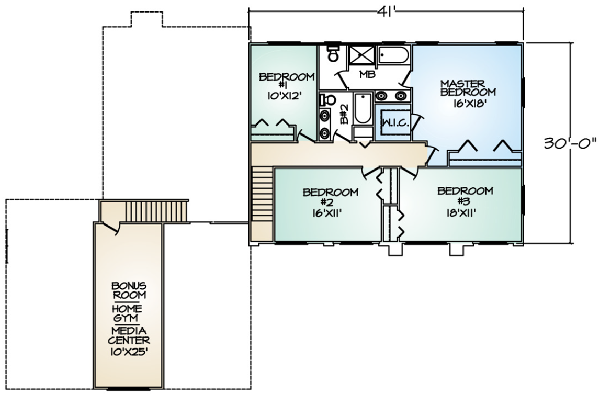 The third living area is upstairs, featuring four bedrooms, plus a large master bedroom with private bath. The three-car garage has enough room to include either storage or a work area.